One of the benefits of having a vibrant multiparty system is that you get a choice of parties to vote for. That means voters can opt for a change of direction in policy, holding governments to account at the ballot box based on their policy proposals. Voters aren’t stuck backing a faction within one party, or being offered a “choice” of parties that actually have little by way of distinguishing features. However, for this to work, parties need to collectively adhere to the rules. Underhand tactics and corrupt practices serve no-one; the voter is left disenfranchised, and the country loses the benefits of accountable government. Whether it’s to do with financing, communications, or something else altogether, parties must enjoy a level playing field. When one party starts breaking the rules, voters and parties lose trust in the whole system and democracy grinds to a halt. 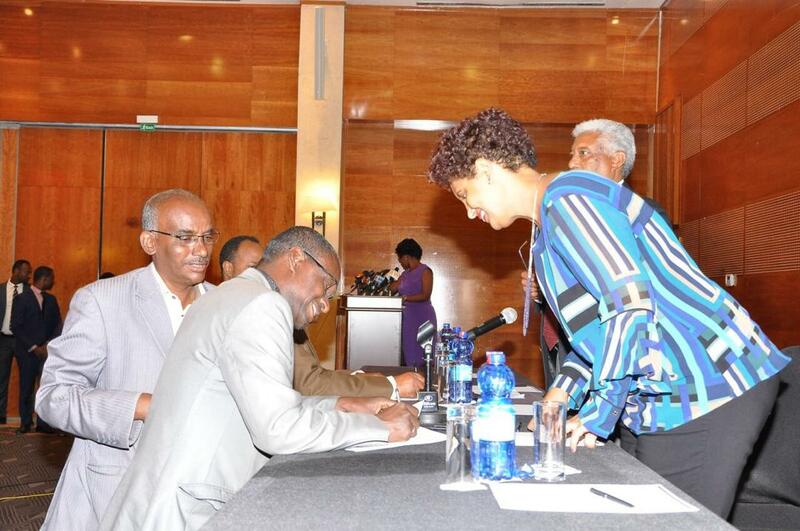 Ethiopian parties recently took a major step towards strengthening their party system by signing a new code of conduct in Addis Ababa. The code of conduct will set the rules of engagement for Ethiopian parties across the spectrum in the coming years. More than 100 party leaders, including Prime Minister Dr. Abiy Ahmed of the ruling EPRDF, attended the signing ceremony. 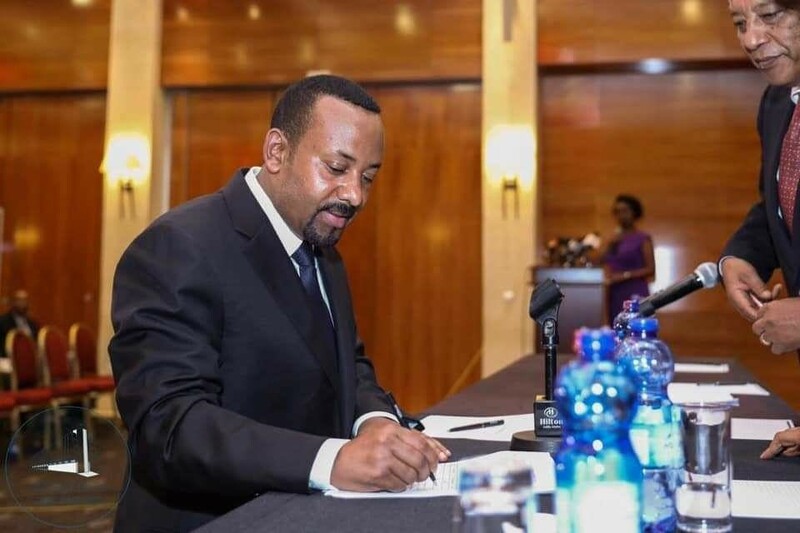 Ethiopian PM Abiy Ahmed signs the code of conduct on behalf of the ruling EPRDF. The code of conduct is the result of a dialogue that NIMD is facilitating through its Strategic Partnership programme in the country in co-operation with the National Electoral Board of Ethiopia (NEBE). The dialogue includes over 100 parties and is built on a more inclusive format than anything attempted before in the country. All parties in attendance signed the document. Bayene Petros, head of the opposition coalition Medreck, said that while his party had refused to sign the previous document, it had signed this one because it was the outcome of an inclusive dialogue. The G7 leader, Berhanu Nega, expressed his optimism that things have changed for the good, pointing out that despite there being so many parties in the dialogue, it had managed to produce a consensus document. Addressing attendees, the PM hailed the document as a milestone in Ethiopian democratization and asked police, media, and security forces to treat all parties equally. The next elections are scheduled for 2020, when voters will elect both the PM and parliament in general election.